Keep your premises secured 24/7 with CTC Communications back to base Control Room. •When considering which security solution is right for your needs, it is important to think about the way in which you want to deal with potential security threats should they arise. • While simply having an alarm on your home or business premises can be a significant disincentive for would-be thieves, you obviously you need to have a system in place for confronting intruders as well. One possible option is a self-monitoring system which can notify you via SMS message when someone deactivates your alarm or when the alarm goes off. •Of course, the question for many people might then become - what do I do now! Often you may not be in the position to check on the situation yourself, and even if you do have that ability than confronting an intruder, or intruders, on your own can be potentially dangerous. •Nonetheless, it is important that you have a means of protecting your home or business, and this is where the advantages of a monitored alarm security systembecome apparent. •With a monitored alarm system, a Security Patrol team is available 24/7 to be dispatched to evaluate any potential situations and deal with any intruders they might find. •Alternatively, you can simply list a trusted contact to check up on your property, who will be contacted by the monitoring service if the need arises. •Furthermore, with a monitored security system, you can be assured that your security system is in working order at all times. Your alarm can be programmed to send a simple self-test to the control team once a week, ensuring that it is in working order and you are receiving the security that you paid for. •A monitored security system can even be designed to provide a report of when doors are opened and closed by users - a good way to ensure that staff are arriving on time and not sneaking out the door early perhaps? 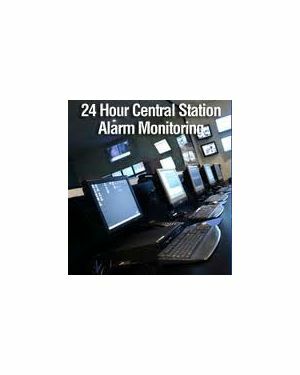 CTC Commuications can provide 24 hour alarm monitoring via our Control Room on 1300 657 740. If you are looking to ensure the absolute security of your home or business, it might be worthwhile considering investing in a fully monitored alarm system. A fully monitored alarm system is a great way to give yourself peace of mind and protect your investments from nefarious individuals, who may look to rob or vandalise your property if given the chance. 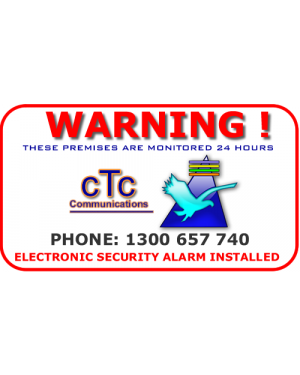 To find out more about the advantages of a monitored alarm system, call CTC Communications today on 1300 552 282, or email us at Sales@ctccommunications.com.au. Alternatively, you can simply list a trusted contact to check up on your property, who will be contacted by the monitoring service if the need arises. You will also be able to activate your system manually, by entering a special code into your alarm system. This will trigger an automatic dispatch of a Security Patrol team to your home. Another advantage of a monitored alarm system is that it can be programmed to send a simple self-test to the control team once a week. Should anything in this self-test seem amiss, trained technicians can be dispatched to correct your security solution in a fast and efficient manner. This ensures that your home or business alarm is in working order at all times, and that you are receiving the security that you paid for. For residential owners who are looking to secure their home, the cost of monitoring is just 66c per day - less than a cup of coffee! For business owners who want to ensure the safety of their employees and investments, the cost is $1.10 for complete peace of mind and enhanced security. There will also be a slight cost incurred should a situation arise which necessitates the dispatch of a patrol car. This will vary from between $65.00 to $85.00 (including GST), depending on the location of your home or business. Monitoring fees are paid 12 months in advance, and we also offer a special ten per cent discount for the installation of your security solution. Here at CTC Communications we will not ask you to sign a long-term contract or attempt to lock you into your monitored alarm service. You will be free to opt out of this service at any time. Is a monitored alarm system right for me? People choose to invest in a monitored alarm system for many reasons. They might be a business owner who wants to ensure that their hard work will be protected from nefarious individuals. Alternatively, they might be a home owner who wants to protect their family while also ensuring that their personal belongings are safe at all times. When choosing to install a home or business security solution it is important to think about what will happen should a worst case scenario occur. The value of having a Security Patrol team available 24/7 is that you do not need to concern yourself with this, and can go about your life safe in the knowledge that you have done everything possible to protect yourself from criminals. If you think that a monitored alarm system might be right for you, call CTC Communications today on 1300 552 282 or email us at Sales@ctccommunications.com.au.